John Bowe has cut Touring Car Masters title rival Steven Johnson’s lead in the series standings down to 42 points with two races remaining at the Coates Hire Newcastle 500. Bowe (Holden Torana) led through the opening few corners despite a challenge from Ryan Hansford (Holden Torana), while Jim Pollicina (Holden Torana) spun into the wall after a clout with Allen Boughen (Mercury Comet) at Turn 5. Johnson set his sights on Adam Bressington (Chevrolet Camaro) for third, but couldn’t find a way by, with Bressington himself then going in search of Hansford for second. The top four remained the same at the chequered flag, as Bowe claimed victory by 7.5s. 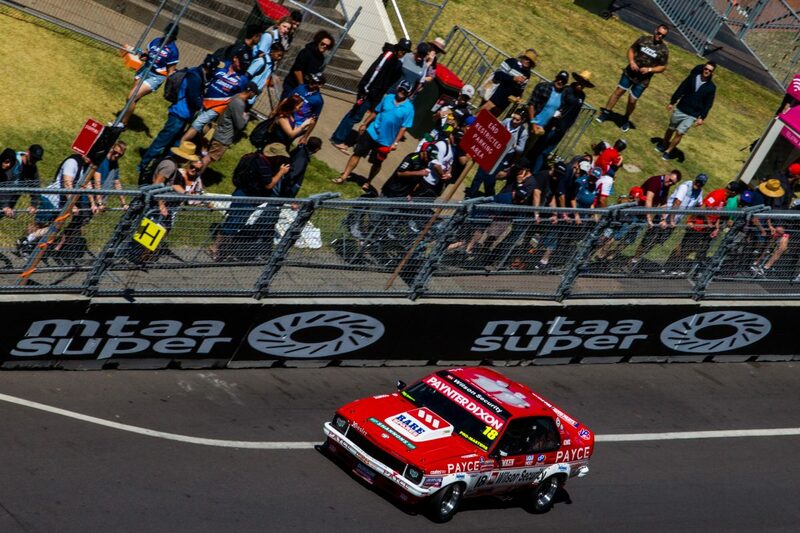 Jason Gomersall finished the race fifth in his Holden Torana. Brad Tilley (Ford Falcon) won the Dometic Trophy Race after Cameron Mason (Ford Mustang) made a mistake while leading. Tilley powered around the outside of Mason at the start, but immediately came under pressure from the latter who was quicker in the slow sections of the track. A lock-up into Turn 11 on Lap 4 saw Tilley run wide and yield the position to Mason, despite a nudge in the braking zone. The Novocastrian led comfortably for a handful of laps, but made his own mistake at the top of Watt Street on Lap 7 and ran long, having to reverse out of the run-off area, ultimately dropping him back to sixth. This put Tilley back to the front, with Mark King (Chevrolet Camaro) inheriting second with Pollicina finishing third. Bowe fought his way to eighth, while Johnson was classified in 17th after a front wheel issue hampered his run. The Touring Car Masters field returns for the final two races of the season on Sunday at 0945 and 1340 AEDT. 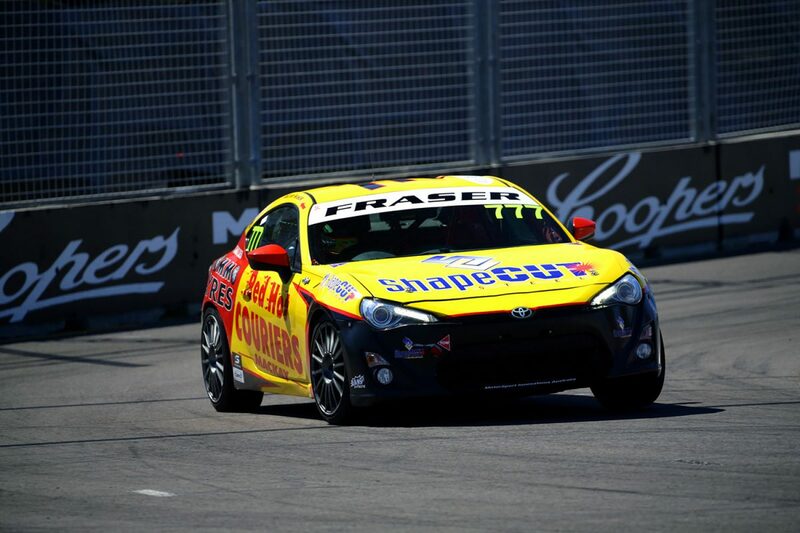 Declan Fraser continued his dominant form by converting Race 1 from pole position in the Toyota 86 Racing Series. Fraser held his own on the run down to the first corner, with the top three of he, Luke Youlden, and David Sieders, remaining the same on the opening lap. John Iafolla went side by side with Luke King at Turn 7 for fourth but found the outside wall, having to pull to the side of the road at the next turn. King then went on the attack on Sieders, with the pair getting into each other several times before Sieders conceded the position on the run down to Turn 10. Tim Brook found himself fourth, holding station through to the end of the race. Fraser won the race by 4.5s over Youlden and King in third, critically ahead of title rival Brook. Liam McAdam completed the top five, while the second of the invited drivers, Jonathan Webb was 10th. The final two races of the 2018 Toyota 86 Racing Series take place on Sunday at 0910 and 1215 AEDT.